RangSutra Crafts is taking a next step in its growth and plans to launch its e-commerce portal. Women on Wings and RangSutra have been partnering since 2008 in their joint mission of building the company and involving more artisans. RangSutra’s handcrafted products are currently available online through artisanal e-commerce platform Jaypore. It also has a retail presence at the Dastkar Nature Bazaar and Shahpur Jat, both in New Delhi. Incorporated in 2005, RangSutra has till date been focusing on its business to business foray. For the first five years of its inception, RangSutra was supplying garments and home products to retailer FabIndia, who is also an investor in the company. It was in 2013 that RangSutra hit another big milestone: getting its first export order from the Swedish home furnishings company IKEA. 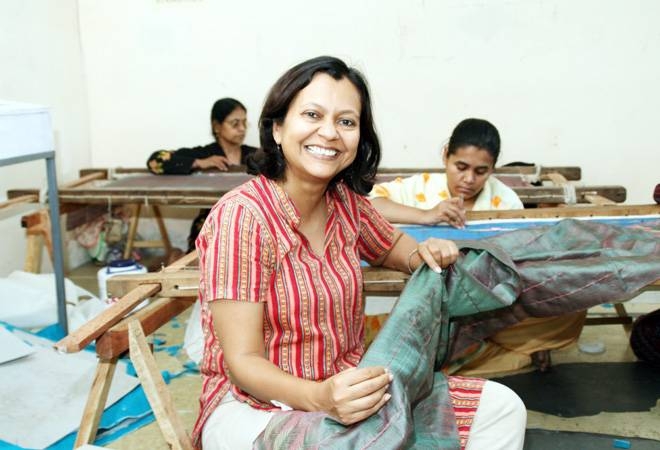 “This was a game changer for us as it brought international protocols of fair trade, quality and compliance into the organization,” says founder and managing director Sumita Ghose. Now she will be taking a next step by launching an e-commerce portal. At core of Rangsutra is Sumita’s ability to organize, the largely female, artisans into producer groups or self-help groups, provide them the necessary training and tools to improve their craft, oversee the production and ensure they get regular orders to increase their incomes. Recently, RangSutra partnered with Jammu & Kashmir government, for a rehabilitation project to enable women affected by floods in Srinagar form a cluster and generate livelihood. Usually, due to lack of market access and irregular orders, artisans earn anywhere between Rs 500 to Rs 1,000 per month. With RangSutra, full-timers can earn anywhere between Rs 15,000 to Rs 20,000. The company could break even in 2008. There has been no looking back and the company has been profitable since 2009. “We have been giving dividends back to our shareholders since then and that has boosted the artisans’ confidence,” says Sumita. The organization was set up as an artisan collective, when Sumita was unable to take a loan and reached out to the artisans she had been working with through Urmul Trust in Rajasthan. Putting their trust in her, 1,000 artisans pitched in Rs 1,000 each from their savings. RangSutra now work with 3,500 artisans from the states of Rajasthan, UP, Jammu & Kashmir and Manipur, of which -2,500 artisans are RangSutra’s shareholders.